Help Moorchana Gayan (21) and Her Family Transplant Her Liver. Please. Moorchana is my best friend's (Pallav Pratim Gayan) sister and I'm sure all of you will connect to this relation as she is like my own sister. It has been a week since she is in the ICU. The doctors say that the liver is 80% damaged. 30-35 lakhs will be the amount for transplant. So guys, in the name of humanity, whatever you can, please donate. GOD bless you. Thank you for you love and support. This couldn't have been possible without you. It gives me immense pleasure in informing you all that Moorchana's condition is improving via medicines. So the doctors are a little skeptical of the transplant. If all goes well, the transplant won't be required. We are all hopeful about her health. Please keep praying for her. Thank you so much, once again! We shall keep you posted. 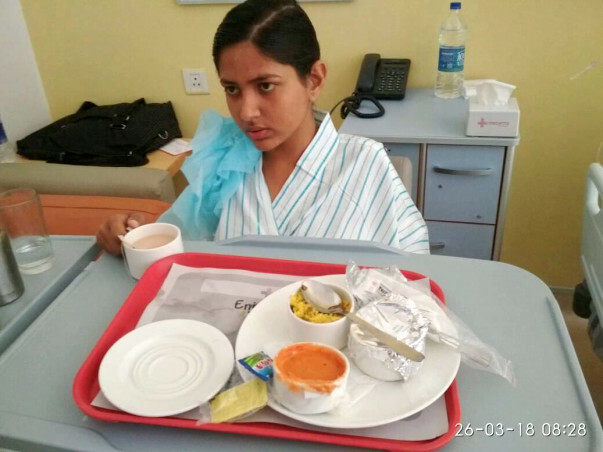 Pallav's sister, Moorchana has been shifted from Medanta to ILBS in Gurgaon as the expenses there were too high. The doctors in ILBS suggested that if they can they will try to cure Moorchana there only without the transplant. Pallav with his family has been in Gurgaon for nearly 30 days now. As you guys know the expenses in a place like Gurgaon are too high so I, on behalf of Moorchana's family, would like to thank you guys for helping us financially with whatever you can. Thank you for the wonderful support. Do pray for Moorchana's health and speedy recovery. Will keep you posted. Thank you guys so much for giving us such support. She needs your prayers more than anything now. The doctors did a biopsy test and we are awaiting the results as of now. 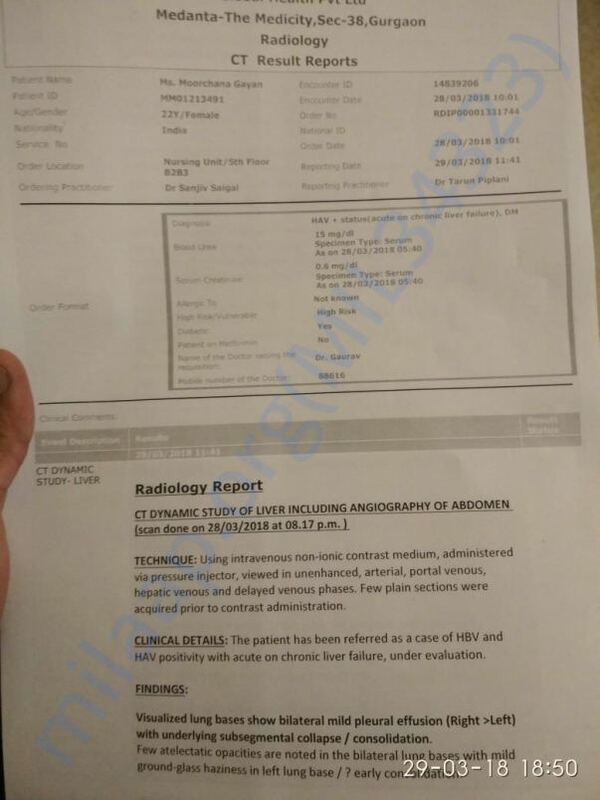 The date of operation will be decided after the confirmation of this test result.